First flight August 15 2008, delivered AnadoluJet August 30 as TC-JHH. Seen here through the transit terminal's thick green glass as taxiing into her position. 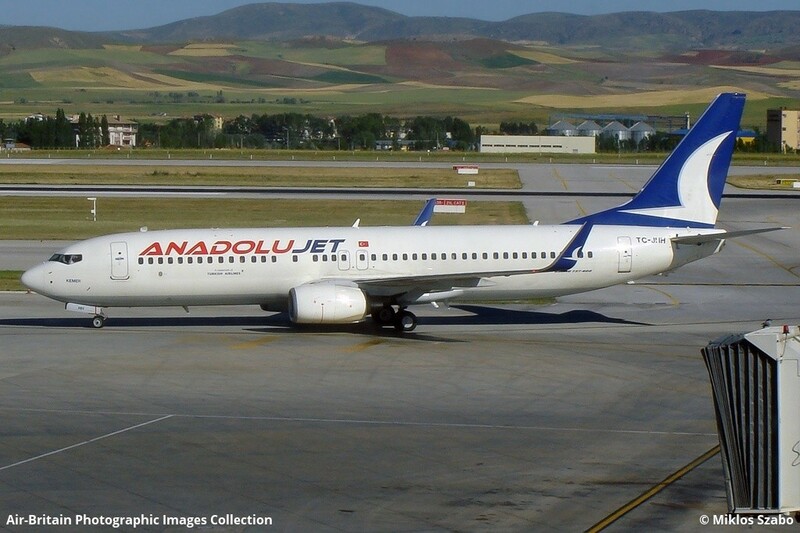 Administrative to SunExpress May 13 2012 as TC-SAV, where is being leased back since May 14.